The holidays are a time for sharing, and if you’ve adopted The Myers Way® this year, then why not share the gift of health this holiday season? Maybe your friends and family are curious about your new lifestyle, are impressed by your renewed energy, or are even jealous of your glowing skin. To help your loved ones get a healthy jump start on 2018, (or to give you some ideas for your own wishlist) here are 16 useful and unique gift ideas perfect for anyone following or adopting The Myers Way®! By now you’re probably fully on board with The Myers Way® dietary protocols, and are a pro at sourcing high-quality ingredients and making delicious, rich recipes. 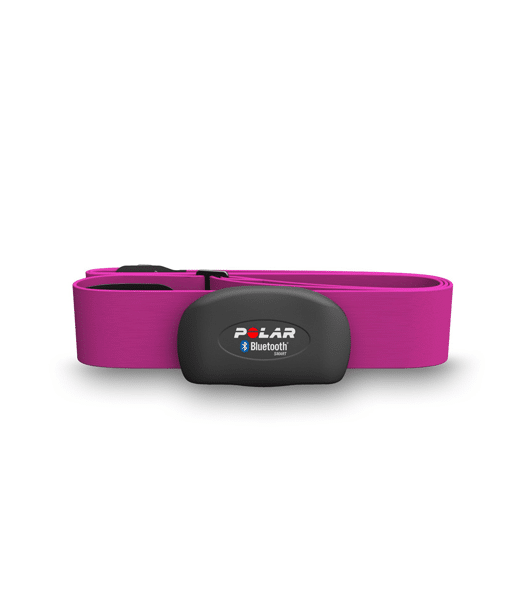 Help your friends and family get on board too with these wonderful gifts. Butcher Box is a monthly shipment of high-quality meats that gets delivered right to your door. Butcher Box only delivers organic, grass-fed or grass-finished, free range, pasture-raised meats, and humanely-raised Heritage breeds of meat. Box options include: All Beef Box, Beef and Chicken Box, Beef and Pork Box, and Mixed Box (contains beef, chicken, and pork). Each Butcher Box costs just $129 and comes with at least 20 individual meals (5 – 8 oz portion size). The price works out to $6.50/meal and shipping is FREE! 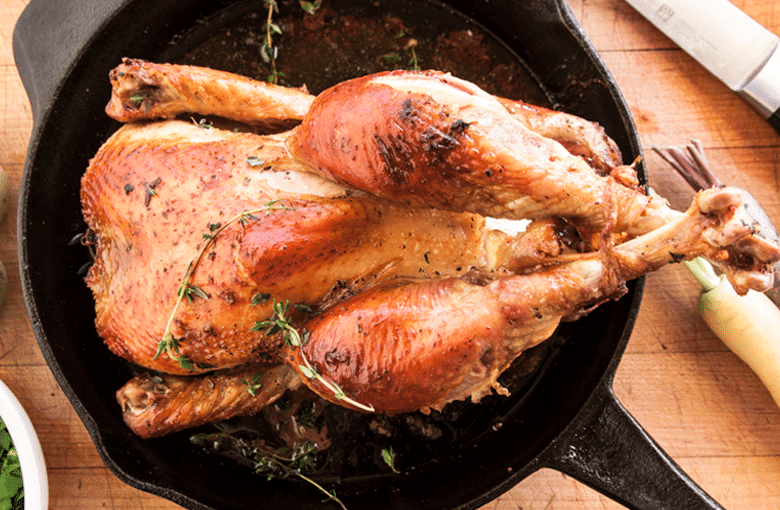 To celebrate the holiday season, Butcher Box is offering all of you $10 off your order and a FREE Heritage Chicken at this link! Need the perfect gift for someone with a busy schedule? Or someone who loves to save money? Or someone who loves to give back? 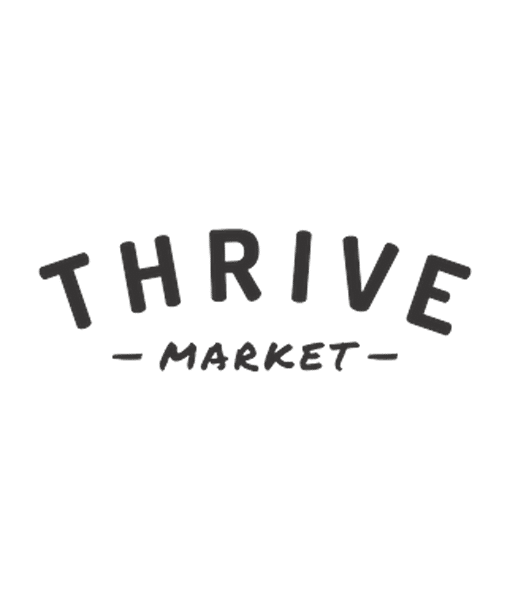 A Thrive Market membership is the perfect three-in-one gift! They offer healthy foods and toxin-free home goods at 25-50% below retail prices, delivered straight to your door. And for every membership purchased, they donate one to a family in need. Plus, Thrive Market is offering a special gift to my readers! Sign up for your free 30-day trial membership and get a FREE bottle of organic apple cider vinegar! Existing members can also get a free bottle when you spend $50 or more. Available in the contiguous US only at this time. Bone broth is a powerful (and tasty!) tool for healing a leaky gut. The gelatin in bone broth protects and heals the mucosal lining of the digestive tract and helps aid in the digestion of nutrients. 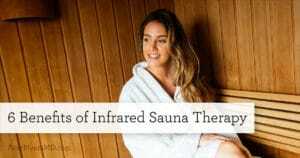 It also helps you fight the cold and flu, reduces joint pain and inflammation, and helps keep your skin, hair, and nails gorgeous and healthy. 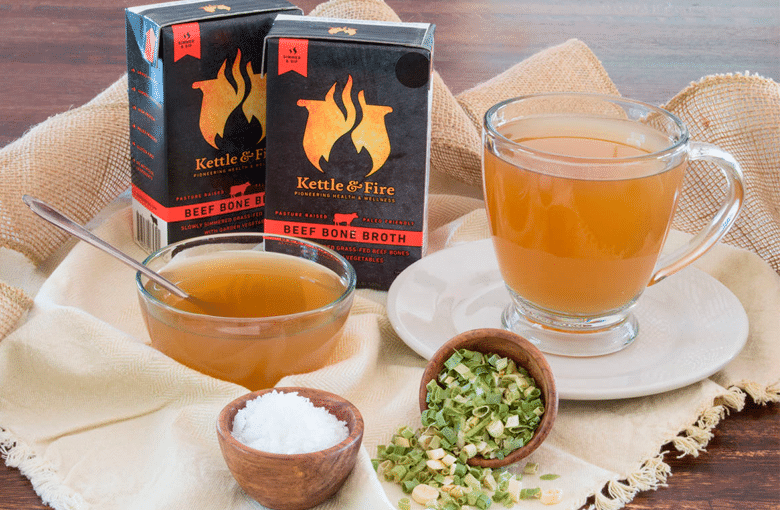 Kettle and Fire Bone Broth is made with marrow bones from 100% grass-fed, organically raised and pasture-grazed cattle, then slow simmered for a solid 24 hours with organic vegetables, sea salt and herbs. Best of all it is shipped straight to your door! You can place a single order or save 25% when you purchase a monthly subscription. 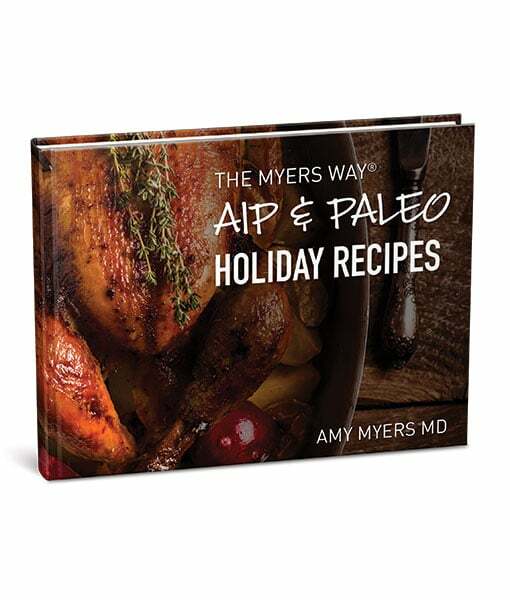 Enjoy delicious holiday meals approved for all of my dietary protocols, including The Thyroid Connection and The Autoimmune Solution with this beautiful holiday recipes eBook! Each of the 42 amazingly delicious recipes features classic fall flavors, with plenty of seasonal produce, grass-fed proteins, and gut-healing nutrients. 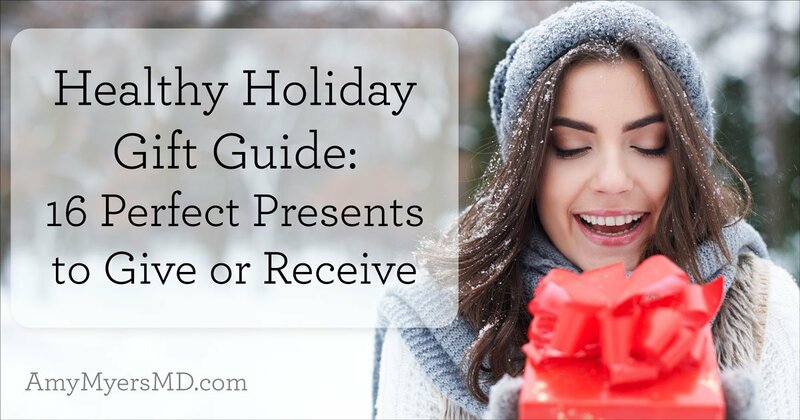 Our busy lives are stressful enough, and the holidays can be particularly draining. Help your favorite people recover after the holiday madness and stay stress-free all year long with my favorite tools for stress relief. 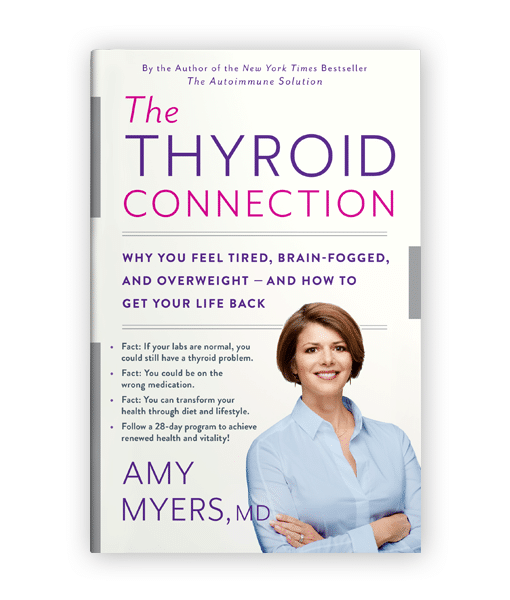 I talk about the science behind all of them in my new book, The Thyroid Connection. This is one of my absolute favorite stress relief tools and I recommend it in both of my books. 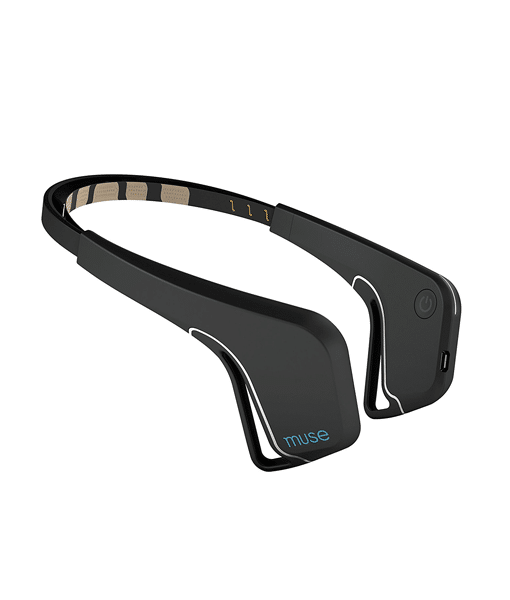 It uses an external sensor on your earlobe to help you synchronize your heart rate, breath, and mind. It’s super easy to use, and it lets you set goals and track your progress, so it’s great for anyone (like me) who is very goal oriented. This is another great tool that I use all the time. 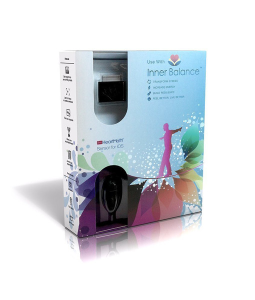 HRV monitors track how quickly your heart rate adjusts after spiking or slowing down. Years of clinical research has shown that when HRV levels are high, a person experiences lower levels of stress and greater resiliency. 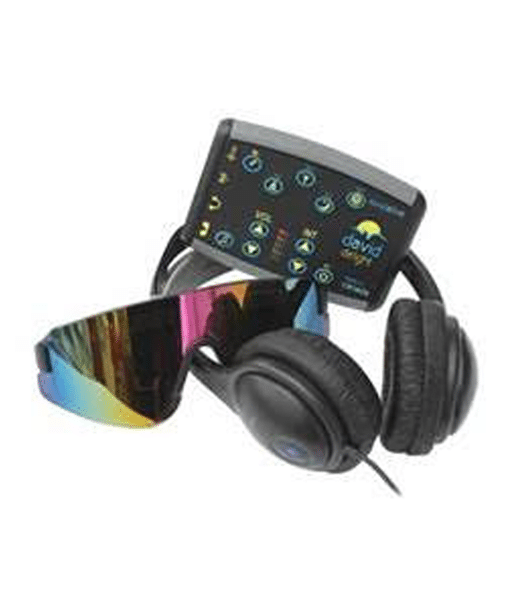 This stress relief tool uses a video-audio entrainment technique that uses visual patterns plus sounds to induce a hypnotic state of relaxation: you look at the waves on eyeglasses while listening to the sounds through headphones. The brain boost you get not only can relax you; it also helps with academic and sports performance. Meditation is a powerful tool for stress relief, which is why I love this tool that uses 7 sensors to measure whether your mind is calm or active, and translates that data into weather sounds. When you’re calm, you’ll hear peaceful weather sounds. When your mind wanders, the weather will intensify, guiding you back to a calm state. Steer clear of the toxin-laden body and beauty products, and help your relatives stock up on all-natural choices that are good for your health, good for the earth, and great for your skin. 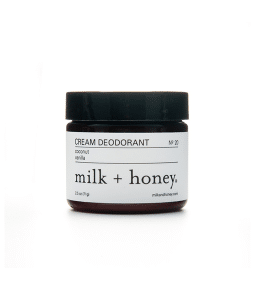 I received this deodorant as a gift from one of the founders of Milk and Honey and I will never use another deodorant again! It can be difficult to find all-natural alternatives that actually work, but this product hits the sweet spot in that it truly is toxin-free and it keeps you feeling and smelling fresh all day. The rich creaminess of this lotion, combined with it’s summery citrus scent, makes it the perfect pick-me-up for the dry, winter months ahead. 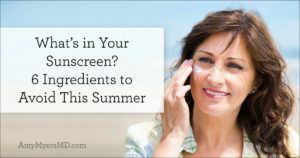 And, it’s packed with antioxidants, aloe juice, and essential oils, so I use it every night, no matter the season. 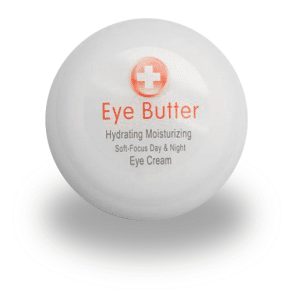 This is is one of my favorite go-to products from the only makeup brand I ever use. 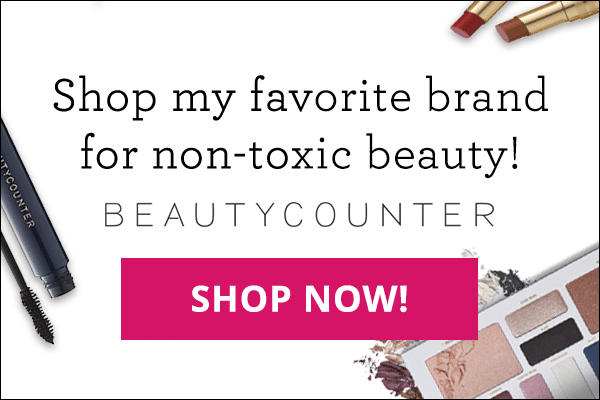 All of their products are toxin-free so you don’t have to worry about toxins lingering in your beauty routine. 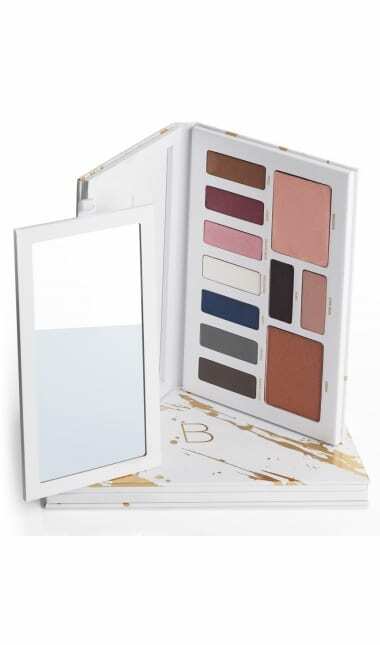 This palette is designed for your entire face, it includes: highlighters that can double as blush, eyeliner and eyeshadows making it perfect for when you are on the move or traveling. For those with a chronic illness, there is no better gift than empowering them to take back their health. These are my most powerful resources for getting to the root cause of thyroid and autoimmune conditions and all of the tools and tips included in them mean they are gifts that keep on giving for years to come. 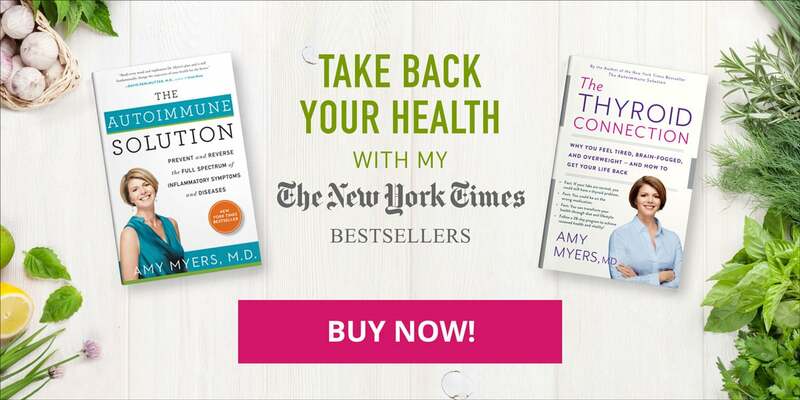 In my newest New York Times bestseller, I explain why conventional medicine gets thyroid diagnosis and treatment wrong, the true, underlying root causes of thyroid dysfunction, and how to overcome them. Best of all, I include a complete 28-day plan to jumpstart your thyroid health and eliminate your symptoms so you can take your life back. If you know anyone struggling with thyroid dysfunction, or who suspects they are, this book is an essential! 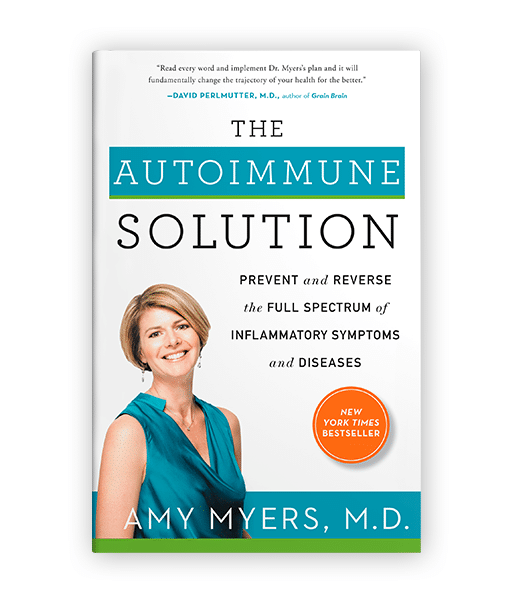 In The Autoimmune Solution I explain what’s causing our autoimmunity epidemic, why the conventional medicine approach is failing million of americans, and how you can identify and address the root causes of autoimmune disease. 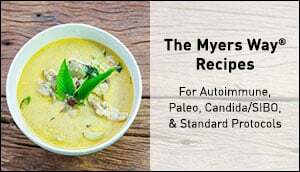 I walk you through the roles of leaky gut, diet, toxins, infections, and stress in your immune system, and of course I include a 30-day plan to tackle each one using The Myers Way®. This book has helped thousands of people around the world reverse their autoimmune disease and is an amazing tool to give a loved one! P.S. – If you are international, both of my books ship for free from Book Depository! In October I hosted the Thyroid Connection Summit, where I interviewed 35 of the world’s top experts on thyroid dysfunction and the response was amazing! The talks cover how to work with your doctor to get the right labs and treatment, and I dedicated a whole day to each of the five environmental root causes of thyroid dysfunction – diet, leaky gut, toxins, infections, and stress. 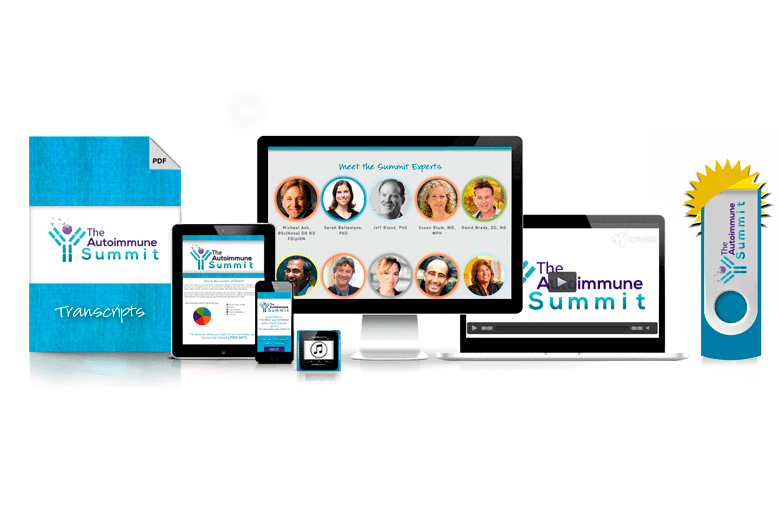 The package includes all 35 video interviews with experts including Dr. David Perlmutter, Dr. Mark Hyman, Hypothyroid Mom, Josh Axe, Sarah Ballantyne, and more, plus audios and transcripts. You can purchase digital access or get all of the materials on a flash drive. 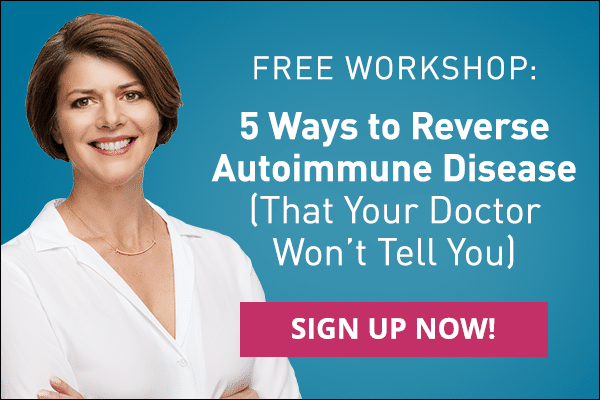 This is yet another amazingly powerful tool for anyone with autoimmune disease. It features my interviews with 40 world-renowned experts about the root causes of autoimmunity, including Dr. Alessio Fasano (a Harvard researcher on leaky gut), Dr. Jeff Bland (the father of functional medicine), Dr. Frank Lipman, Dr. Terry Wahls, and more. The digital access package includes all of the video interviews, plus audios and transcripts.